We have a few updates on Stack Overflow Jobs we would like to share with you. 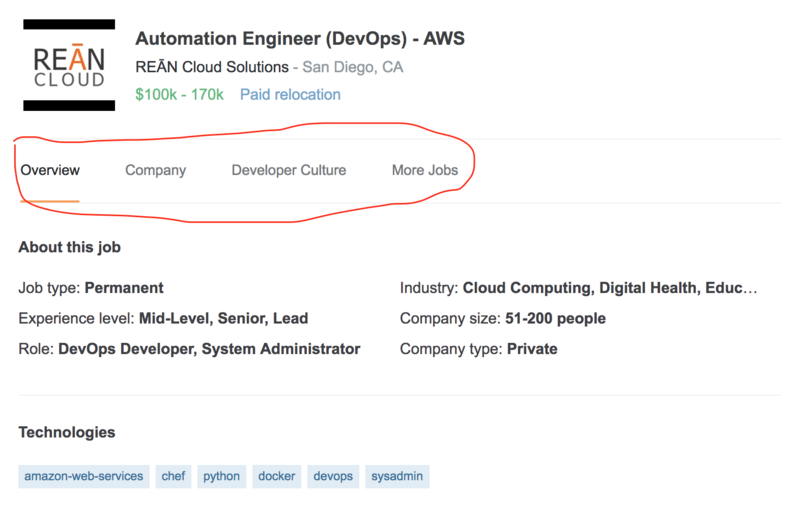 Aurélien improved the automatic categorization of jobs by developer role. We integrated developer roles to job search to help you find more relevant results. Kirti updated the listing layout a bit to surface key data points about the job first like role, seniority, technologies, and company info. The new layout also gives you quick links to company culture, more jobs at the company, and the ability to create an alert to get notified when a new job is posted at the company. Donna designed and Gervasio implemented job collections to provide an alternative way to discover jobs. We are running this as a test, so if you’re in the test group, you’ll see these collections. 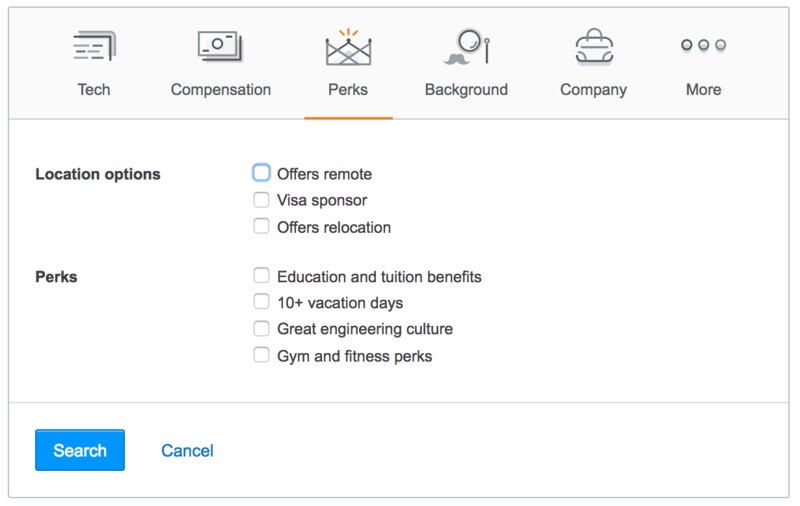 And the "Live and work anywhere" collection can be easily accessed here (it's just filtering jobs that offer remote, visa sponsorship or relocation). Feedback is always welcome, so give these a try and let us know! I see that there's a "Job Type: Permanent" item listed in each example screenshot. Does that mean I'd like to see job ads for part-time or freelance work was implemented? It never received a Jobs team response. In what kind of place is only two weeks of vacation considered a "perk" worth searching for? It's pretty much the bare minimum for any FTE in the US, and far below the minimum in Europe. The number should default higher, and customizable by searchers.